With the imminent onslaught of Brit-pops 20th anniversary looming on the horizon like a raggedy-arsed lumbering drunken student, clasping a can of Skol to his/her bosom and a copy of NME stuffed in his/her jacket pocket, its up to the rest of us to stick with the bands who have quietly been making top-quality indie-rock for decades, without fanfare or cart-wheeling clowns. 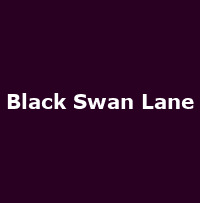 Out of the same stable as The Chameleons, one of the UKs most unsung but greatest live bands to ever wield guitars and sing songs, are Black Swan Lane who boast the aforementioned Manchester bands frontman, Mark Burgess, amongst their line-up, as well as The Messengers Jack Sobel and John Kolbeck. 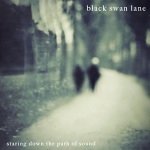 It would be glib of me not to compare these bands to Black Swan Lane, but there is a distinct similarity between them, as well as Aussie paisley-rockers, The Church, reformed romantics, The Wild Swans, wonderful Scottish glumsters Lowlife and even The Mission in places. Moody clean-lines, you might say. Staring Down The Path Of Sound is 63 minutes of earnest melodic downbeat alt-rock, that will either have you reaching for the eject button, or kicking back with a large glass of your chosen poison in dimly-lit surroundings Im just pouring another glass right now. Dont expect party-anthems this is reflective music that demands contemplative respect. Not all of it works, most of it does job done. In amongst the 15 songs on here are some crackers Fall, Low and Blue Always are reminiscent of Burgess other projects with The Sun and the Moon and Yves Altana (another Black Swan Lane member), all jam-packed with epic drums, shimmering guitars and spot-on production from the band. In fact, there arent many low-points on this solid album at all, except possibly the length not many newcomers are going to warm to over an hour of sad-face. However, perseverance reaps rewards and Black Swan Lanes fourth album deserves to be coveted with repeated plays and radio-playlisting. Will it happen? Probably not meanwhile, click on the Amazon link to the right and take a chance you wont be disappointed.